How a Russian mafia kingpin’s career spans both the looting of Latvia’s Parex bank and the subversion of American politics. On 24 May 2010 Latvian lawyer Ainars Platacis left his office in Riga and disappeared. His Mercedes was found on 25 May near his home and looked as if he had just stepped out of the vehicle for a moment. It was unlocked and the keys were in the ignition. He had left his jacket with a wallet and some credit cards, but no cash, in the vehicle, along with a computer. The car was abandoned near the house of Julijs Krumins, a Latvian businessman who had worked at Riga film studio and Mosfilm in Moscow. The police have failed to establish why he died but do not rule out murder. However, his death stands at the centre of a series of events linking the mafia connected to Parex Bank with Russian interference in the US election. Platacis had reportedly been threatened by Grigorijs Rabinovics (aka Grigory Rabinovich), a Latvian businessman who is also allegedly one of the leaders of the Russian Mafia, shortly before he died. Rabinovics had faced trial for making threats against several people in 2009 according to the Latvian media but the case was closed in January 2010. He had previously owned a fashion retailer, Global Fashion Group, which ran several clothing outlets in Latvia. He had also, however, purchased 400 000 shares in Parex bank in 2003 and bank insiders describe him as being like a Godfather to the bank’s owners, Krasovickis and Kargins. . Subsequently the bank became part of the machinery deployed by Rabinovics as he expanded his Russian business empire, along with other individuals reputedly linked to the Taganskaia Mafia. In 2006 he began manoeuvres aimed at capturing the Moskva store in the Russian capital in its entirety, having positioned himself as its major shareholder. In the that year Parex issued two loans to the store, one in the spring for EUR 3.87m with a further EUR 15.67m loan being issued in September. Subsequently, according to the Russian media, a firm called Spektor, which was owned by Rabinovics and had shares in the store, reported the Moskva firm for insolvency. Rabinovics was seeking to wrest control from the then majority shareholder Dmitri Ulyanitsky. His partners in the attempted takeover reportedly included Igor Zhirnokleev and Aleksandr Romanov, who were both key figures in the Taganskaia mafia. 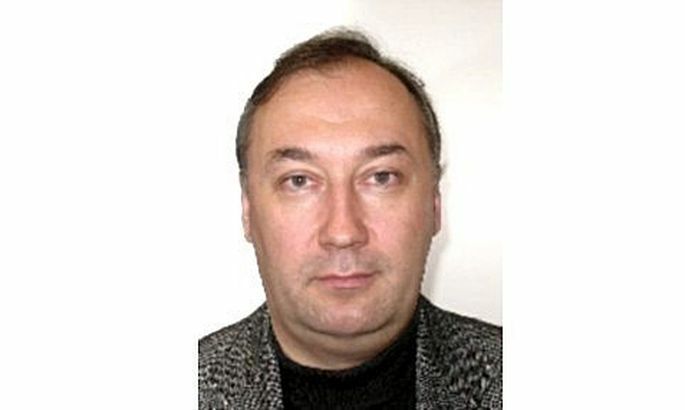 Ulyanitsky subsequently alleged that Zhirnokleev had demanded money to “protect” the store and compelled him to sign contracts worth $100000 per month with a security firm. The head of the store’s legal department Andrey Bralyuk, who tried to ward off its seizure, was beaten up on 10 February 2009 and died in hospital. In March 2009 Aleksandr Torshin the Russian banker and politician and a friend of Romanov’s intervened, ostensibly to ask for the conflict to be investigated. Parex bank was applying pressure during this period in tandem with the alleged threats against Ulyanitsky. The loans between Parex and Rabinovics were not solely deployed as weapons in his predatory manoeuvres in Moscow. They were also, it could be argued, able to assist the owners of Parex bank to conceal assets when it collapsed in 2008. Rabinovics’s own business SIA Global Fashion Group (GFG) was loaned money by Parex on December 18 2008, and was declared bankrupt on 23 December 2008. According to Latvian media reports the entirety of SIA Global Fashion Group’s assets were pledged as collateral to secure the loan of 9.4m Lats (which had an exchange rate of approximately 0.75 against the pound in this period). Parex also provided loans to the same value to three other companies linked to GFG, these being the Latvian registered General Investment Corporation, Hermitage, and the UK registered Heddington Trade Limited. The accounts of the British registered company for this period make no specific mention of this loan and the amounts supposedly being repaid to creditors in year, of under £10,000, seem miniscule. Indeed rather curiously the amounts due to creditors within one year decreased after this loan was issued from £7,307 in 2008 to £1450 in 2009. If the loan were repaid at this rate it would, even if we exclude interest, take over 6,000 years for the creditor to be reimbursed. We should also note the unreality of a firm with a turnover of under £10,000 per annum and no apparent collateral being issued with a multi-million pound loan. Zhirnokleev and Rabinovics were both officers in the firm at various times. Whatever the intention the creation of these obscure companies and the loan and subsequent bankruptcy of GFG functioned as mechanisms for extracting funds from Parex in a period when, some might argue, the bank was being looted by its owners. Rabinovics’s role in extracting funds from the bank may indeed predate the cataclysm of 2008. Parex’s subsidiary Parex Asset Management purchased property in the heart of Riga in May 2007 from GFG for the sum of 10.3 m Lats. GFG made a healthy profit on the property, having purchased it for a paltry 5.3m Lats and, simultaneously having pledged them as collateral with a value of 10.7 m Lats for loans from the bank. The logic defying economics of these transactions should, perhaps, have attracted more interest from Latvia’s law enforcement agencies in this period. While Rabinovics was launching his raid on the Moskva store he was also involved in developing money laundering structures in Spain and in seizing other businesses in Russia along with the Russian mafia. Aleksandr Torshin, the ex-deputy chairman of Russia’s Central Bank, has now attained notoriety as the apparent handler of Maria Butina, a Russian citizen who infiltrated the National Rifle Association in the United States and the Trump campaign. Torshin was a close personal friend of Aleksandr Romanov, one of Rabinovics’s partners in the Moskva raid. Indeed, he had been intending to fly to Mallorca for Romanov’s birthday party on 21 August 2013. The Spanish police were waiting to arrest him but, according to Russian media reports, he was warned by the Russian prosecutor’s office and cancelled his flight. Romanov himself was arrested in December 2013 and sentenced for money laundering, part of which included the purchase of a hotel in Mallorca via a fictitious loan, in a manoeuvre glaringly reminiscent of his friend Rabinovics’s ploys with Parex bank. Romanov was supposedly the intermediary between Torshin and the mafia. Although the Spanish case against Romanov clearly implicates Torshin and Rabinovics the latter remain at large. Torshin, despite his possible role in handling Butina and her role subverting the US election in 2016, does not appear to be subject to any charges in the US at present. Rabinovics is openly spoken of as a key figure in a Mafia organisation which, since its inception in the 80s has committed numerous violent murders, yet he remains seemingly untouchable. The careers of both men shine a light on the web of connections between Russian business, organised crime, and Putin’s subversion of western democracy. They also illustrate the consequences of failing to hold those responsible for looting Parex bank to account. The west has yet to understand that it is facing both an internal and an external war against the oligarchisation, indeed "mafia-isation", of its political structures. The front line of this conflict runs through Ukraine and it is there, ultimately, that the battle must be won. However, the United Kingdom and the west could greatly assist this victory by investigating more thoroughly the use of financial mechanisms in the UK by Russia's oligarchic elite. There will be a high price should they fail to do so. If Putin wins his societal war the mafia style business methods described in this article may become as routine in Berlin, Paris and London as they are now in Moscow.